The Family Center of Mobile is an educational training site with internships for undergraduate and graduate students in social work, counseling, psychology, health education, and AIS students. 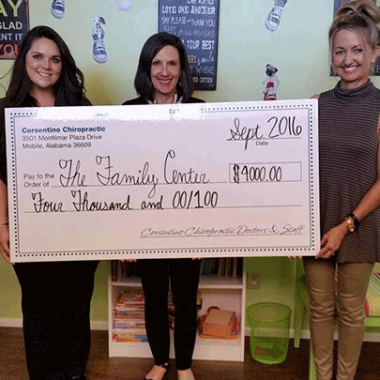 Interns will have a variety of hands-on experiences with clients and in the day to day activities of The Family Center. They will have a myriad of opportunities in group and one-on-one settings. We strive to provide a well-rounded internship experience. Dennis Langan Construction and Remodeling, Inc. 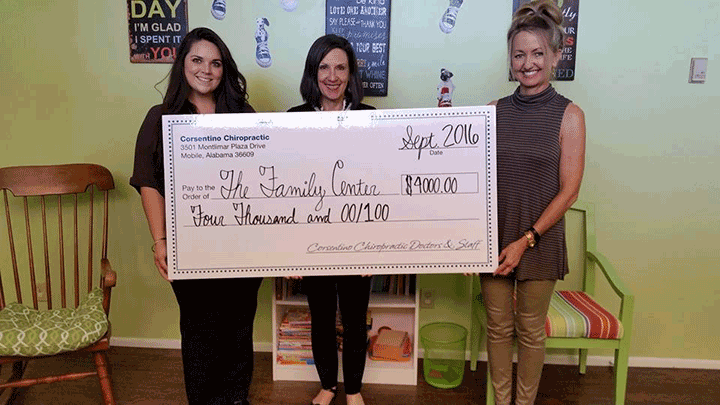 Many, many, many thanks to Corsentino Chiropractic and their Doctors with a Heart event to raise money for families!